A few weeks ago I wrote here about my goal to run my first ever 5k in honour on my mom and friends who are fighting/fought cancer. I wanted to give everyone a visual and put a face to this horrible disease. 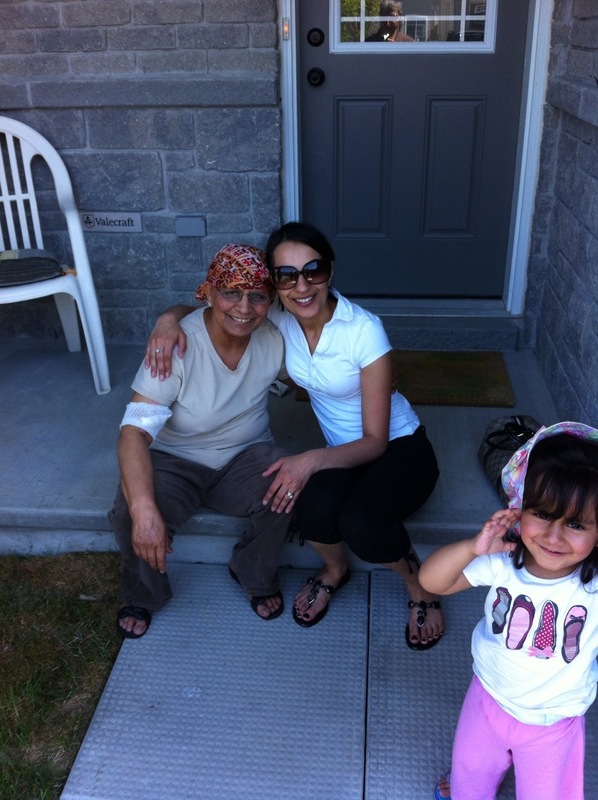 Below is a picture of me, my mom and my daughter that was taken two weeks ago after a trip to Ottawa to see my Mommy. We went to cheer her up after a one week hospitalization due to complications from her 4th round of chemo. As you can see, I have alot to run for….. This entry was posted in Family, Fitness and tagged cancer, family, running by shwetasays. Bookmark the permalink.